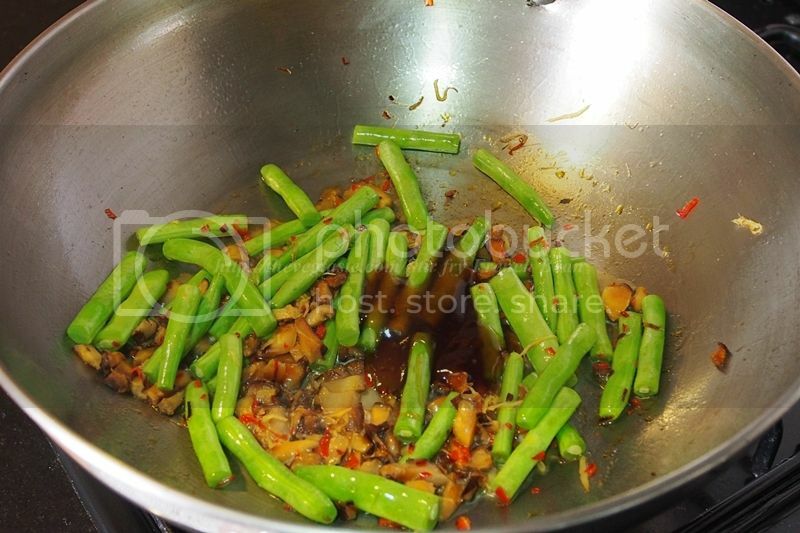 Add cooking oil into the wok. 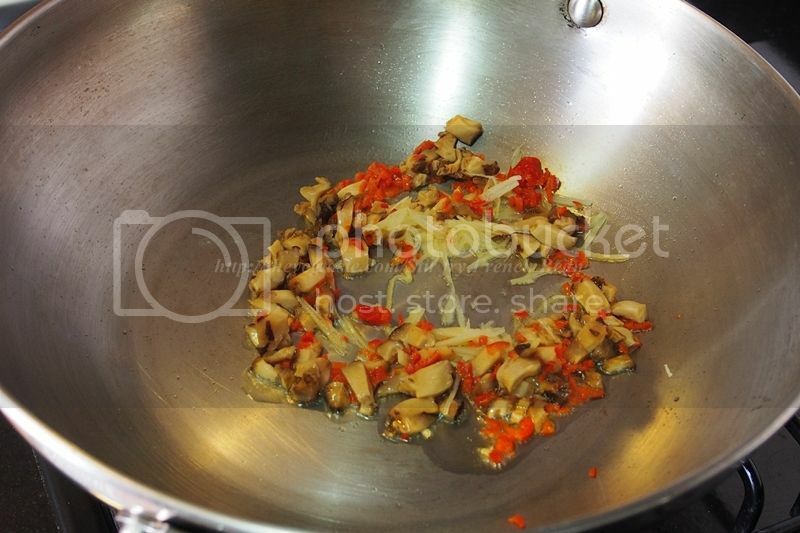 Add ginger, chili and mushroom, sauté until aromatic. Add french bean, stir fry to combine. Sprinkle some water to keep moist. Add seasoning; continue stir fry for minutes. The french bean should be still in crunchy condition. 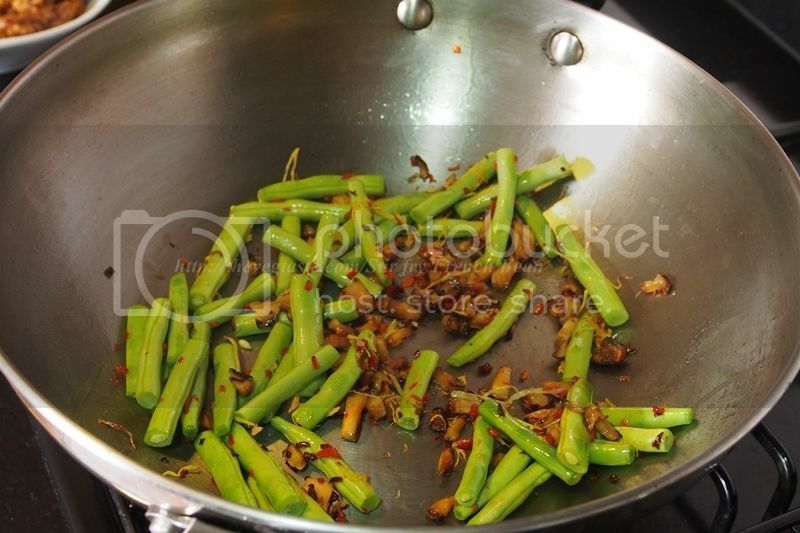 Enjoy the stir fry French bean with hot steam rice or as side dish.